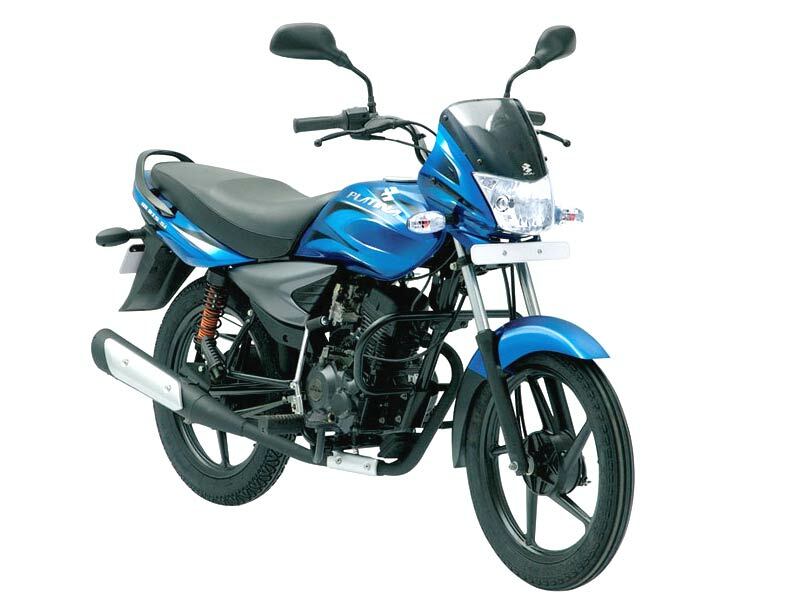 Claimed as the cheapest bike, Bajaj Platina 125 DTS-Si is also the most fuel efficient bike with DTS-Si technology. Explore the review to know the features, technical specifications, mileage & price. Bajaj Platina has been quite popular inside and outside India since its launch in 2006. The old entry level 100cc Platina was based on CT-100. The bike was introduced as the cheapest bike and competed with the Hero Honda. And now Bajaj has unveiled the 125c version using Bajaj Exhaus-Tech technology. This new Bajaj Platina 125 DTS-Si sports alloy wheels, twin headlamps, matt finished black silencer, trendy console, sleek chrome graphics, graphite tinted engine and chrome streaked side panels. Having the same engine of XCD 125 DTS-Si, it is expected to perform as good as XCD attracting a good number of buyers. New Platina 125 DTS-Si is slotted with 125 cc engine and adopts next generation technology of DTS SI (Digital Twin Spark Swirl Induction). With the advanced technology Bajaj Platina DTS Si is also equipped with ExhasTEC that ensures better torque even at the lower rpms for superior riding comfort in all road conditions. The brand New Platina is powered by a 4 stroke 125 cc engine that pumps out a fuel-efficient output of 9 bhp with highest pushing power of 11 nm @ 5000 rpms. The twin sparks technology teamed up with an intelligent micro-processor offers an efficient fuel-combustion and promises to deliver an unbeatable 111 kmpl making it India's most fuel efficient motorcycle engine. Slim, short and slightly longer look of the Platina DTS-Si isn't that attention grabbing when compared to other 125cc models like the Honda Stunner. But 100cc motorcycle buyers might find it tempting on account of the attractive price tag. 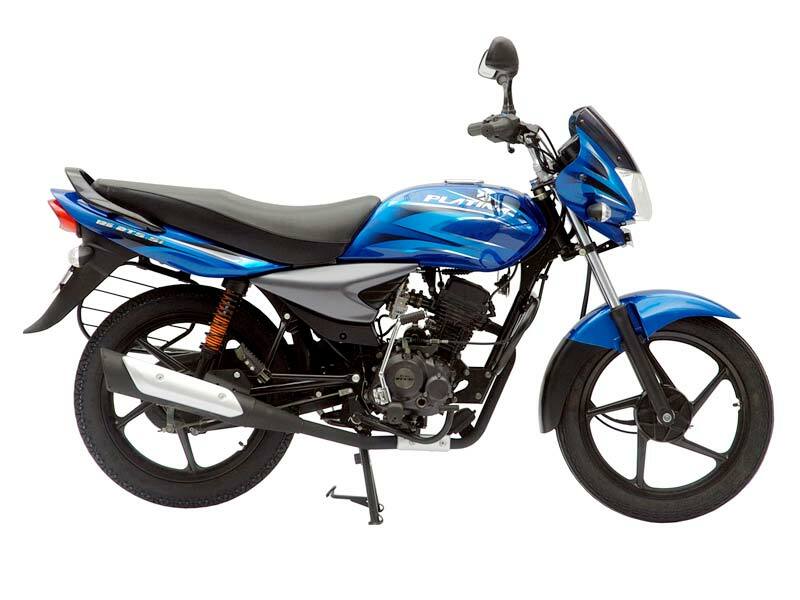 Additional Features in Bajaj Platina 125 DTS-Si are DTS-Si engine, ride control switch, electric start, auto choke, maintenance free battery, anti-friction DU bushes in the front fork, SNS suspension and the twin pilot lamps. It has also got an enhanced mileage claimed to be 111kmpl. The ride quality is great with the well padded seat and the long distance rides are a stress free affair. The braking system performs well with the drum brakes. It accelerates to 60kph in 8.4 seconds and can hit a top speed of 96kph. While top speed is not the big deal, this new bike rather deals the fuel efficiency instead making it most fuel-efficient bike in India. The MTL tyres are good but better rubber would have done better. The ride quality on the bike is luxurious with the telescopic front suspension and the first SNS (Spring-N-Spring) rear suspension with the longest travel of 105mm in its class. The seating posture is upright and the handle does not feel vibrations in spite of the bar end weights. Pillions have no complaint about their perch on this bike. 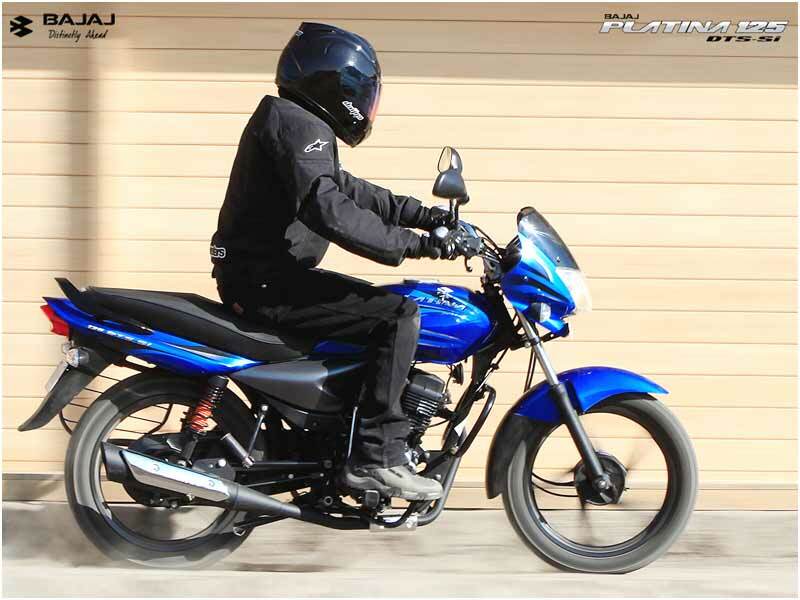 Bajaj Platina 125 DTS-Si is a best buy as the most fuel efficient bike gives a superb mileage of 108-112 kmpl. The available colors of the bike are Red, Black, Blue and Grey and the ex-showroom price of the bike is just around Rs. 39,000 which is something Honda, TVS and the rest will have to worry a lot in this segment.